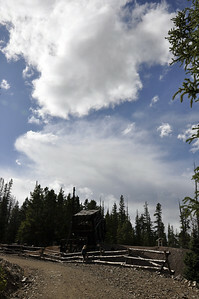 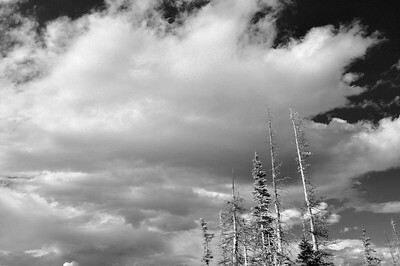 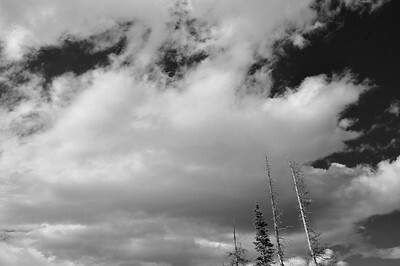 Sky above Sallie Barber Mine. 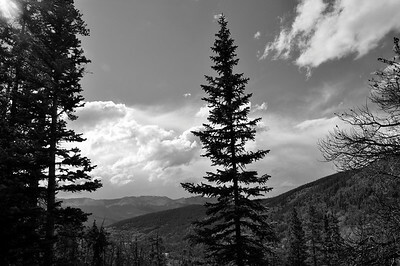 Black/white image. 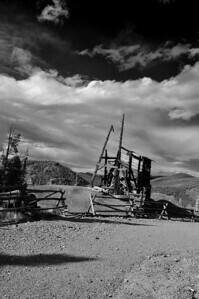 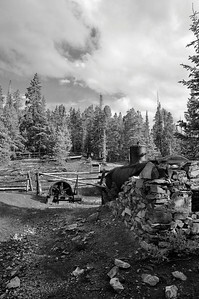 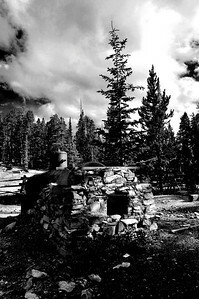 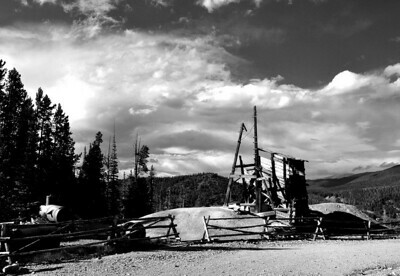 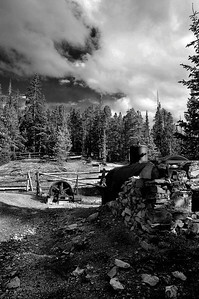 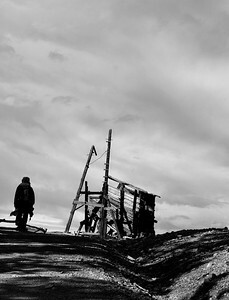 BW image of ruins of the Sallie Barber mine.